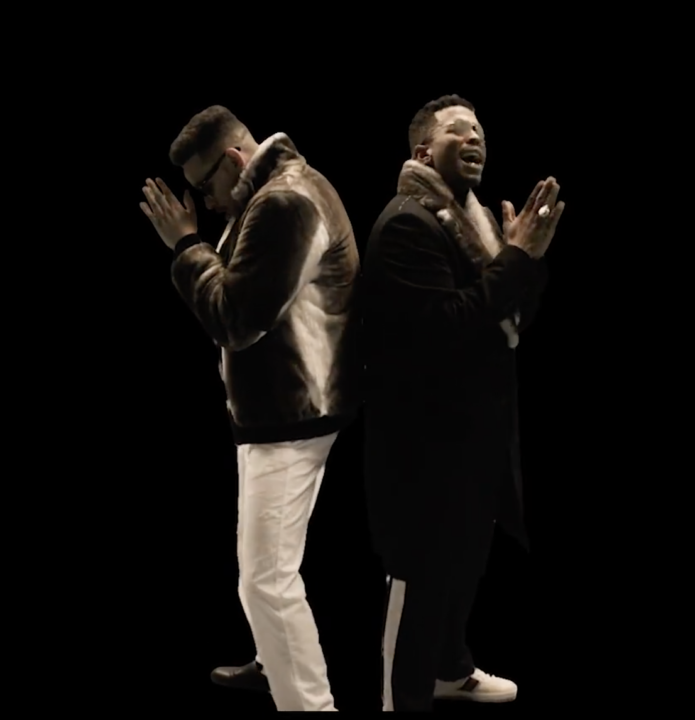 Off their collaborative album “Be Careful What You Wish For” two of South Africa’s biggest hip-hop exports – AKA and Anatii dishes out the visuals to “Don’t Forget To Pray”. alented music producer and international disc jockey – DJ Moh Green teams up with one of Africa’s fastest rising Afrobeats star, Dotman on this new single titled “I Want You”. A heartbroken man who still loves his ex decided to do something out of the ordinary in the hopes of getting her back. Luke Howard, a jilted musician, took to the heart of Bristol on Saturday to win back his love who he refers to as "Rapunzel" to hide her true name. The 34-year-old from Bath in England said he won’t stop playing his piano on College Green until she lets down her hair. Or gets a restraining order. Luke's relationship with "Rapunzel" ended after just four months. He said the breakup "wasn’t anything nasty or bad" but just that life was "getting in the way". Playing his piano in public, he said, was his "last throw of the dice" to get her back. He admitted he didn’t know what the woman would do when she heard about the stunt. He simply needed to "let her know just how much" he loves her. He said of their relationship: "If it was anything bad why we split up then I wouldn’t be doing this, but it’s the only thing I can think of doing. It just seems life just got in our way. It may sound whimsical but she completely changed my life. My entire world shifted. "I know people in my situation will send flowers or text or write letters but that only ever seems to make things worse. I wanted to do something that she might see, to let her know how much I love her, that she can see it and then take it or leave it." He vowed to continue belting out his heartache to passer-bys on College Green. He said: "I’m just going to play. I was totally devastated and didn’t know what to do. The more I thought the worse it became and the only thing I could think to was play. I don’t know what will happen. She’s a very organised person, very practical and I’m just trying to show her I’m really serious about us. It’s a kind of off-the-cuff thing, and I just want her to know how much I love her, to give us a chance rather than leave it there. I’m not ready to throw in the towel just yet." Luke set up a sign next to his piano for those interested to follow his emotional campaign called "For Love". An hour after Luke started playing on College Green, Bristol’s biggest protest for a generation started, so that meant he had a large audience, but he did not let the noise from the protesters stop him. He added: "I’ll have a little sign up explaining why I’m doing it, and actually the fact this rally is going on might help get the word out." He shared his Facebook and Instagram pages on the sign he placed beside his piano but all traces of the social media accounts have now vanished without a trace. The operatives of Rapid Response Squad of the Lagos State Police Command have arrested a 30-year-old housekeeper for defrauding a company of N2 million and attempting to collect another N500 million after hacking into the company's e-mail address. The suspect, Ahuja Sylvester, was on Friday picked up by the operatives in 911 Hotel, Warri, Delta State. The suspect had sometime in April, 2017, hacked into the e-mail of a Lagos based company, posing as the Managing Director and instructing the firm's accountant to disburse a sum of N2 million into the Access Bank account of the suspect. The suspect, using the same approach in June 2017, again requested the payment of N500 million into a Zenith Bank account. The company detected this and quickly alerted the police. The RRS Decoy team in their investigations discovered that the initial N2 million was withdrawn with a debit card belonging to Ahuja Sylvester. Ahuja, in his statement to the police, denied hacking into the account of any company stressing that his friend who he named Emmanuel was the culprit. He stated that he met Emmanuel, a National Youth Service Corp, at his work place in April 2017. According to him, "Emmanuel, a Youth Service Corp member serving in Warri told me around April, 2017, that he was stranded and that somebody was going to send money to him. He requested that I allow him use my ATM card because he couldn’t locate his own. I released it to him with my PIN. He told me that I should alert him whenever I received credit alert on my phone and I did…. I expected these transactions to have been completed after two days. After almost a week, I saw him and I requested for my ATM, he told me he was still using it… after that, I asked him again and he told me that he had misplaced it. That was how he didn't return the debit card again. He explained further, "My salary came and I approached the bank. That was when I was told my account was having issues. This was the moment I got to know my Account was used for fraudulent transactions.… Since the episode, I have not been able to trace Emmanuel. I was informed when I started haunting him that he was out of Warri." Confirming the arrest, the Lagos State Police PRO, ASP. Olarinde Famous-Cole, stated that investigations was on going and that the suspect has been transferred to SCID, Panti, for further investigations. The Director-General, Kogi State Bureau of Information and Grassroots Mobilisation, Alhaji Abdulmalik Abdulkareem, says the Kogi state government has blamed the discovery of N145 million fraud in the salary voucher of the Kogi State Polytechnic, Lokoja, for the delay in the payment of July salary of its workers. The government’s statement was in response to the threat by the institution’s Academic staff Union of Polytechnics (ASUP) to embark on an indefinite strike over non-payment of July salary of its members. “Kogi State Government affirmed that the discovery of N145 million fraud in the salary vouchers was responsible for the delay in payment of the July salary. This is based on facts obtained from the office of Auditor -General of Kogi State". The ASUP had threatened to direct its members to embark on strike if the July salary of its members was not paid by September 11. Andulmalik faulted the position of ASUP and other unions in the polytechnic, saying that the delay in payment of their July salary was self-inflicted. He alleged that some accounts staff of the polytechnic bloated the salary vouchers to defraud the state government of N145 million. According to him, the salary was delayed to give room for a thorough investigation into the alleged fraud. The director-general said the state government had recovered N145m from the bloated wage bills. Nnamdi Kanu, leader of the Indigenous People of Biafra has been confered with a chieftaincy title. He was decorated As The Greatest Biafran Warrior In Biafra Land with The Title Of "OTU ONYE NAKPU OGWE 1 OF BIAFRA LAND" by Odumeze Of Ohafia, His Elders And Kinsmen. Unknown gunmen suspected to be kidnappers on Sunday morning abducted Moses Yakubu and his wife in Akunnu Akoko, Akoko North East Local Government Area of Ondo state. It was gathered that the couple who were heading to Akure, Ondo state capital, from Okene, Kogi state, for their wedding ceremony, were kidnapped with some family members, including the best man and chief brides maid. According to sources, the couple were stopped by the kidnappers in Akunnu, ordering them out of the car at gunpoint and dragged the couple and some of their friends away into the forest. The father of the bride, Mr Ahmed Amodu, who confirmed the incident, said the armed men took away the couple, but said the bride and her sister have been set free by the kidnappers few hours after their abduction. He however said the groom and four others including two males and two females are still in the custody of the gunmen, saying there was no contact about their where about and no ransom demanded. Confirming the kidnap, the state Police Public Relations Officer (PPRO), Femi Joseph, said the command has swung into action to rescue the five victims from the kidnappers. Joseph said detectives from the command have been combing the area and the forest in Akunnu to rescue the victims, assuring that the victims will be rescued unhurt, while the kidnappers will not go unpunished.